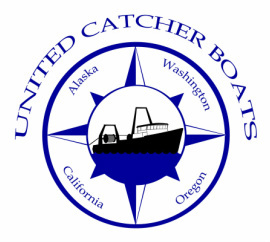 UNITED CATCHER BOATS was established in 1993 to provide a strong, unified voice for the owners of vessels that trawl for groundfish in the Bering Sea, Gulf of Alaska, and West Coast commercial fisheries. Many of the UCB member vessels also have a long history of fishing Bering Sea crab in addition to their groundfish trawl fisheries. UNITED CATCHER BOATS provides an organization for groundfish harvesters in support of rational fisheries management, sustained yields, reduced bycatches, and maintaining our vessels in a competitive industry.